The only pre-requisite is that you like reading! This is a chance to get together with others who share your passion for literature, meet new people and eat good cake. To find out what this month’s book is, pop over and join the Facebook group (or if you aren’t on Facebook, join our email list via the form at the bottom of this page). Each month, we pick a title out of the ones that get suggested and meet again in a month to give feedback. 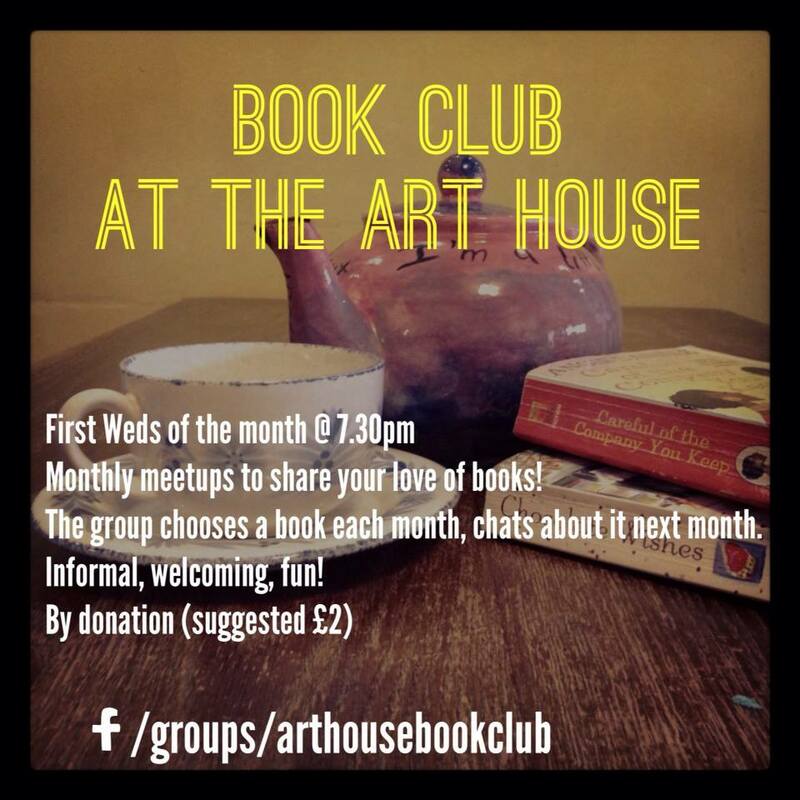 All welcome, new members too, even if you haven’t read this month’s book! We ask that you give a suggested donation of £3 to go towards the running of The Art House when you come, if you can. This event is usually held in our ground floor cafe which is wheelchair accessible but may sometimes relocate to the first floor, which is accessed by a wide staircase with a banister.